Wye junctions have been catching my eye lately, not sure why. So, as I look at maps and geocache locations, interesting (to me) features of railroads catch my eye, and Wyes are one of these. But, you may ask, "why Wyes, what's the interest there?" Or, "what's so special about Yadkin, other than the odd sounding name?" We've all (those of us who drive) heard of Y turns, or 3-point turns as the maneuver is sometimes called, as a way of reversing direction of a car, where the turning radius is too large to simply do a U-turn on a circle path. Imagine doing similar with a train. Wye junctions may be used for this purpose, or for simply changing direction from one rail route to another. 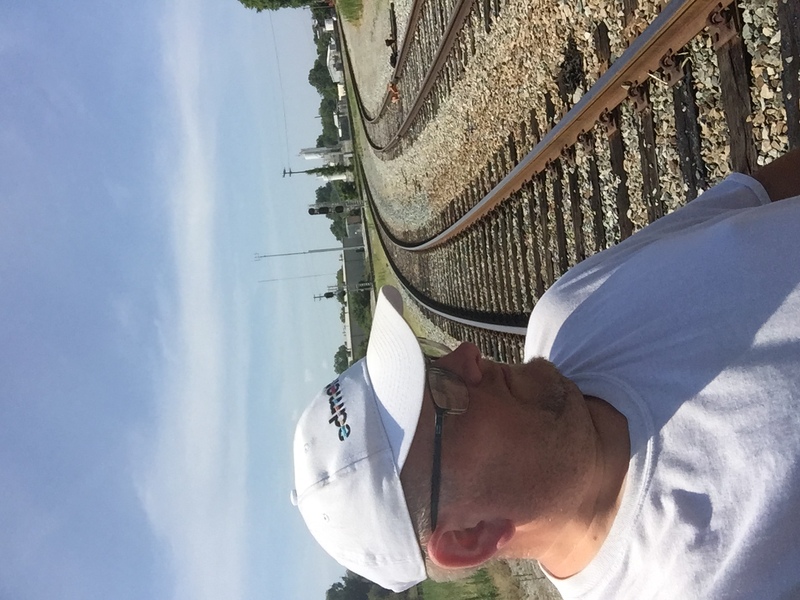 Yadkin junction is interesting for several reasons. Not least, for me, is Amtrak trains pass by on the route to/from Washington, DC, and thus I've ridden over the feature and junction, previously unaware of its existence or significance. 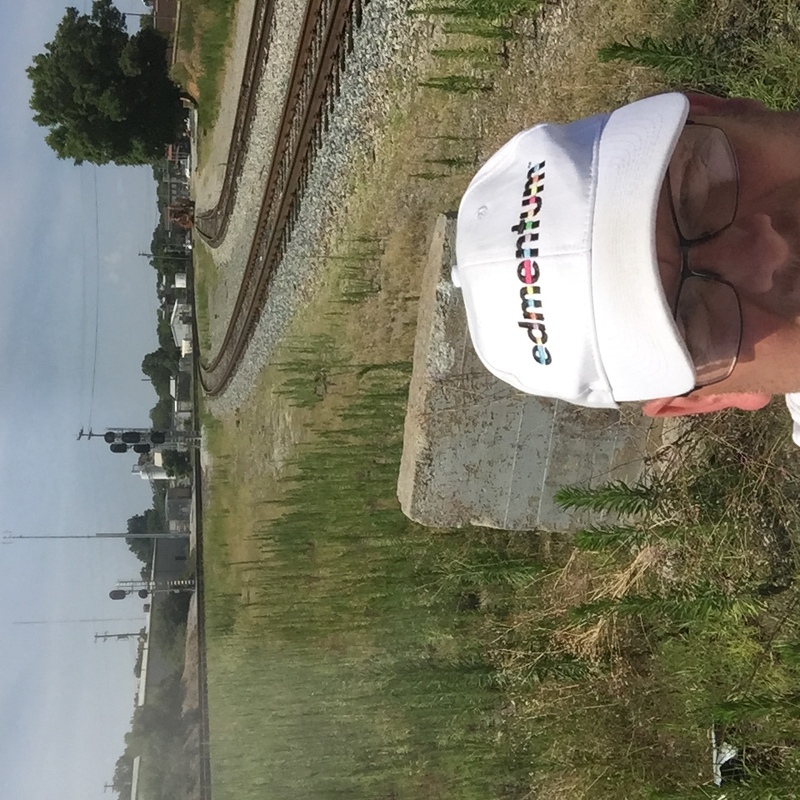 More interesting, historically, is the connection with the "Yadkin Railroad-Southern Railway Albemarle Branch" from Salisbury to to the southeast to Norwood, which dates back to 1891, and passes through historic gold mining and aluminum processing areas, among others. It is possible that northbound trains could reverse direction at the Yadkin Wye junction so they could proceed forward down the Yadkin Railroad line. Similarly for returning trains wishing to head south. In addition, the Yadkin Wye junction is only about two miles south of the "historic Spencer Shops, once Southern Railroad's largest steam locomotive repair facility on the east coast," which is now the site of the North Carolina Transportation Museum (highly recommended). It is also only about 6 miles south of the current Spencer yard in Linwood, which includes a "hump yard" and "is one of the largest classification railroad yards in North Carolina." To log this virtual, upload a picture of yourself with the North Lee and East Lafayette Street signs, or the North Lee and North Railroad Street signs, and as much of the tower and any other railroad scenery you can catch in the background. If you are particularly daring, follow the sidewalk along North Lee Street a short distance to SouthWest, cross into the middle of the Wye, and take your picture there! Of course, watch out for traffic, both cars and train and heed the crossing guards!! If you're lucky, a train or two will pass while you visit, and please upload pictures. I have really enjoyed these train caches. I will be working to complete more. Thanks for the work that went into these. Approved. Thanks ithink314 for your continued support of OCNA.